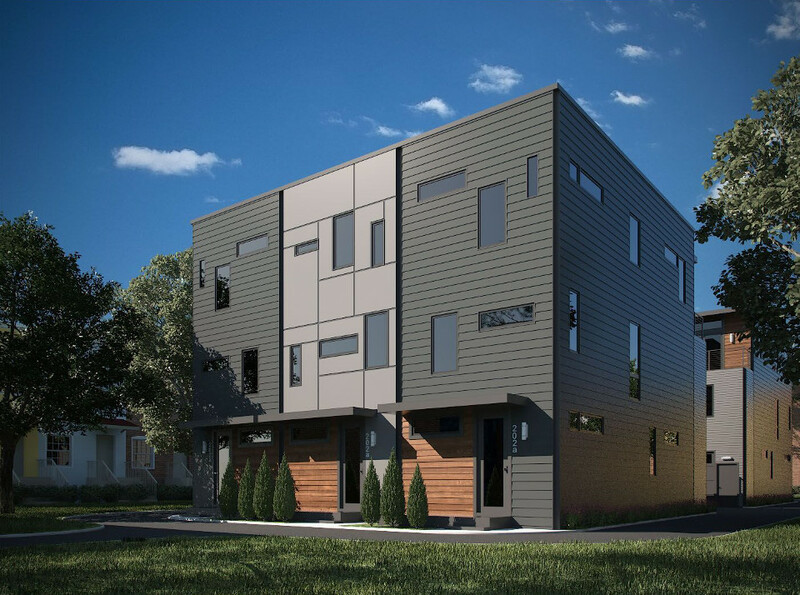 “A2” is a six-unit modern townhouse project being built on an interior lot off Robinson Street behind the Cask Café and Market in the Fan. This parcel is bound by alleys on all four sides with no street frontage. Similar development is common in larger cities, but it will be the first of its kind in Richmond.